We are sometimes asked what sort of items cannot be loaded on to our vehicles as part of a residential or commercial move. Much will depend upon the professional judgement of our guys on the day itself but there are certain categories of things that we may be forced to decline to transport if, in our judgment, they are overly ‘dirty’. Anything containing fuel or oil which might leak. Examples there might cover things such as lawnmowers and motorbikes etc. Things such as large potted plants and trees in circumstances where they are in danger of depositing large amounts of soil and perhaps water in our vehicle. Items such as large aquariums – in that case practicality may be an issue rather than the fact that their contents are seen as being dirty in any way. Craft or hobbyist type materials that might again be covered in oil or sticky paint etc. Items that may appear to show signs of insect infestation of one type or another. Certain types of animal product. 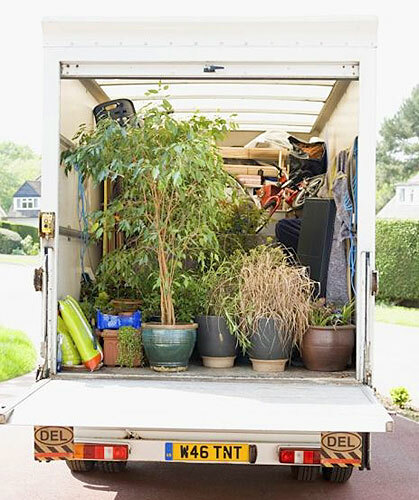 Of course, this list isn’t complete and many of the above things might be perfectly OK providing they are suitably packed and insulated both in terms of our vehicle and perhaps more importantly, your household possessions. We have a huge amount of experience in household and office removals including those ‘dirty items’ and with a discussion in advance and a little bit of lateral thinking, we can usually find a way around all associated problems. Just highlight them to us as part of our initial joint planning processes and we’ll take it from there!